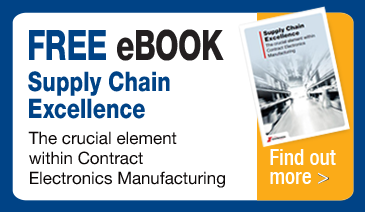 When selecting a supply chain and electronics manufacturing services (EMS) partner OEMs should seek one with demonstrably outstanding electronics supply chain management (SCM) capabilities. The Paragon Electronics Group recognises the critical importance of this and has experienced procurement, SCM and logistics personnel resources in each of its three facilities in the UK and Czech Republic. Supported, where appropriate by the engineering group of our sister company, JJS Manufacturing, our procurement, supply chain and logistics teams have the expertise to identify sourcing options based on the specific needs of each product and customer. We supply a varied range of products to a broad group of industrial sectors; this requires us to procure a wide range of component types - from machined, cast and formed metal products to high end electronic components, plastics, motors, power supplies and many others commodity types - all contributing to an extensive portfolio of procured parts. Such is the scope of our procurement activity, that annually over 25,000 different part numbers are purchased from over 700 different suppliers, with 70% of the spend concentrated with 35 suppliers. We seek to build long-term, collaborative relationships with our approved supplier partners around the world enabling us to continually reduce the total cost of acquisition and supply chain complexity while still maintaining the highest levels of quality and delivery. Through an intensive and comprehensive supplier relationship management (SRM) programme and close management of interactions, the value of our supplier relationships is maximised to the benefit of our customers. With product life-cycles becoming shorter each year, especially within the semiconductor market, thousands of components become obsolete and therefore component obsolescence requires continual vigilance. At Paragon, we have significant expertise in all aspects of obsolescence management and work closely with key partners to provide up to date and extensive information to customers. With early warning processes in place to identify ‘at-risk’ parts, we can perform obsolescence risk analysis before a part has been discontinued and plan the transition to a replacement device or identify sources of the device that is becoming obsolete as appropriate in each case in conjunction with our customer’s needs. Our expertise in ensuring that customers’ Bills of Materials (BOMs) are accurate and complete is supported by sophisticated audit and analysis tools that provide customers with the confidence that they will be kept fully aware of component life cycle information. Our knowledge and close monitoring of markets ensures that we are able to adapt our supply chain to changes in market conditions with speed and agility. 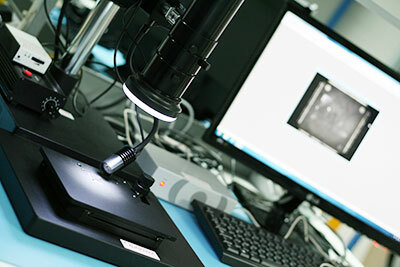 Paragon has significant expertise which helps to prevent counterfeit devices making it through to customers’ products. In addition to stringent supplier selection and monitoring, there has been substantial investment in people, equipment and process development to enable us to identify suspect devices. We have a dedicated component test laboratory providing ‘best in class’ incoming inspection, including X-ray, microscopes, electrical comparators and chemical marking permanency analysis. Our counterfeit avoidance processes are based on the emerging Industry Standard guidelines including IDEA-STD-1010-B, SAE AS5553 and SAE AS6081. We encourage a positive impact though our activities on the environment, customers, employees and the community by recognising the importance of a responsible and sustainable lean supply chain. This is supported by robust policies in all aspects of corporate social responsibility. At Paragon we aim to exceed your expectations in every aspect of our relationship. Supply chain and materials management is clearly a critical element of this. Our efficient sourcing, SCM and logistics not only reduces risk from global supply chains but delivers ongoing significant benefits to our customers.